The leading suppliers in China for the C Z purline changeable roll forming line in this metal processing machinery industry. 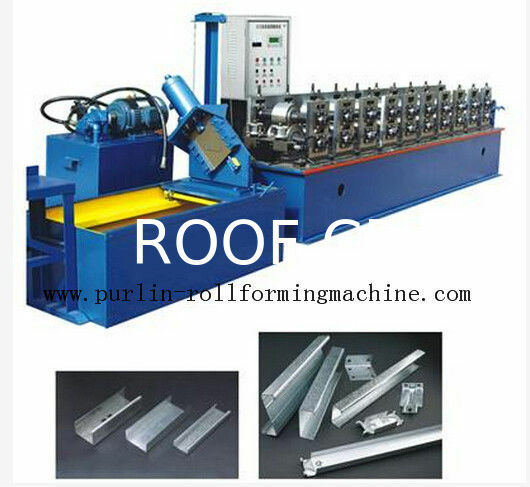 C & Z automatic changeable purline roll forming machine is used to roll form C purline and Z Purline of metal buildings construction. It is no need to replace any parts or change the spacer position on the roll form line for production of C purlin to Z purlin, only need to rotate side roll forming tooling to get the C and Z purline production. 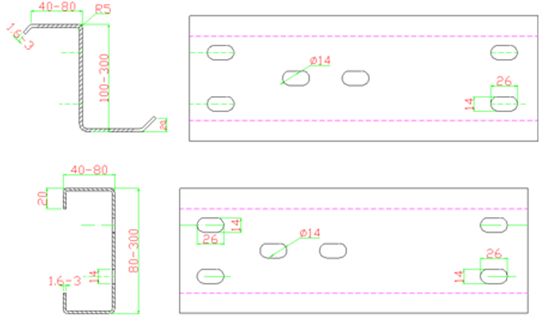 The profile width can be adjusted by hand wheel or power control. It is optional. 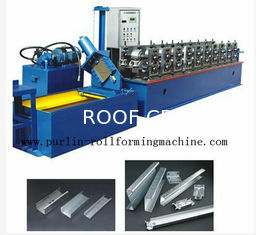 This C Z purline forming machine adopts the duplex width adjustable technology. 20 Stations, quality casting steel after precision processed. The manual decoiler or hydraulic decoiler can be optional. The normal driving system is controlled by chains. Gearing box with cardan shaft also can designed according to your request. C and Z Purlin is an integral part of light steel structure, Purlins and Girts are roll-formed from Hi-Tensile Galvanised steel. With the advantage of Cee & Zee purlin, widely adopted in Building construction Industry – commercial and residential, they are primarily used to provide lightweight, economical, efficient roofing and cladding support systems for framed structures. Rainwater gutter, k gutter, box gutter , seamless gutter.